Split drive technology let's you steer, turn, and aerate without raising the tines out of tthe ground. Productivity 19,333 sq. ft. per hour. 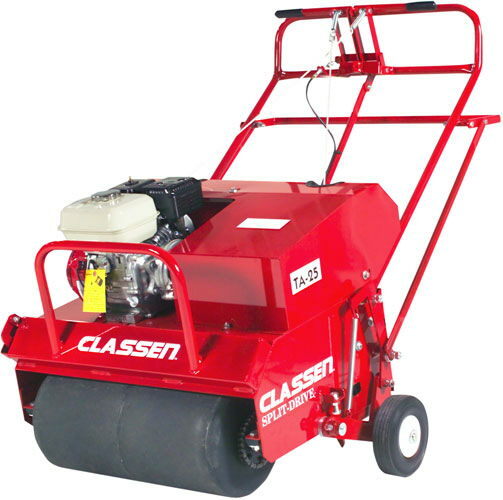 * Please call us for any questions on our aerator 16.5 inch classen split drive rentals in Portland OR, Gresham OR, Milwaukee OR, and surrounding metro area.